Last year was a big one for games, and one of its most surprising successes was Psyonix’s Rocket League. It debuted on PS4 and PC last summer and became an instant hit. The indie darling received critical and commercial acclaim throughout 2015, taking home numerous game of the year awards. More than half a year since its initial release, Rocket League is now available on Xbox One, giving new players a chance to finally find out what the hype was all about. 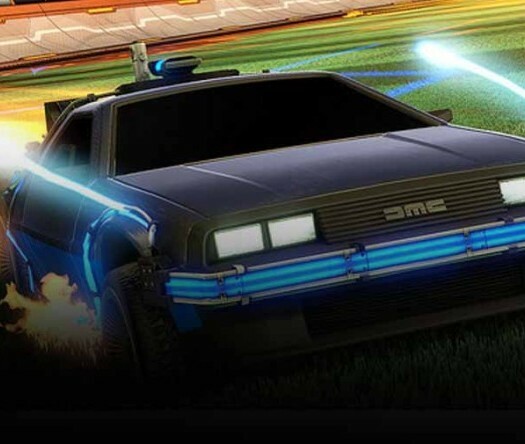 So for those of us who never got a chance to play before, just what is Rocket League? The game follows the basic rules of football — or as we in the States incorrectly call it, soccer — where you score points by getting a ball across the field and into your opponent’s goal. The difference here is that all the players are RC cars instead of men in shorts faking injuries. It’s sports cars meets sportsball, and the outcome is a lot more fun than either component alone. 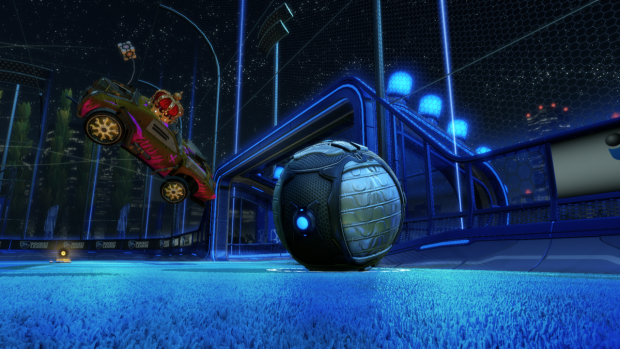 Sunday drive — Rocket League is the type of game that’s easy to play but difficult to master. The cars drive like a buttery smooth dream; if you’ve ever played a racing game you already know the basics. These cars also have some trickier maneuvers as they can jump, flip and even fly if you know what you’re doing. Thankfully, the game has a great training mode that will take you through everything from the simple to the complex. There are modes to practice all aspects of the game at various skill levels, so you have no excuse to not be ready before you hit the field. 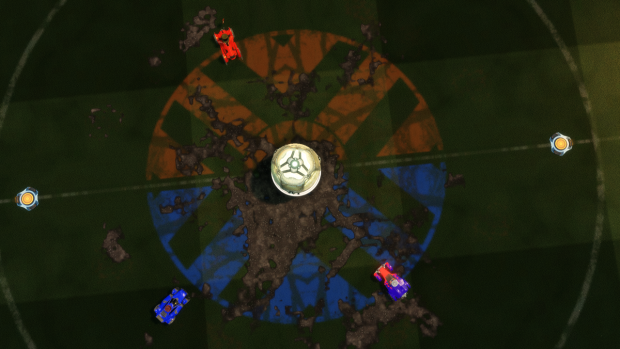 GOOOOOOOAL — A single match in Rocket League plays like a sport stripped down to its bare essentials. There are no penalties or complicated rules, just two teams and five minutes to score as many goals as possible. Every vehicle has the exact same move set, with no perks or buffs giving higher-level players an unfair advantage. All it takes to play the game is skill, which you’ll gradually accumulate as you play. Your performance for your first few matches will undoubtedly be terrible, but you’ll want to keep trying because you know you can get better. Once you put in the work, there’s no better feeling than giving it your all to get the final goal, or working with your team to have a crazy play come together. The game’s so simple yet so rewarding, creating the perfect balance of fun and competitive. No matter how many matches you play, you’ll want to play another. Every mode imaginable — The sheer amount of gameplay possibilities is insane. There’s multiplayer matchmaking, both ranked and unranked, with playlists for varying team sizes (1v1 up to 4v4). If you’d rather do something more personal, you can create your own match. Going this route lets you tinker with loads of options; you can go so far as to make team counts unbalanced, adjust the attributes of the ball and alter gravity. There’s even 4-player split-screen, which is supported in all multiplayer modes including matchmaking. For those looking to play by themselves, you can create a custom match with bots or play the Season mode and play through a bracket of AI teams. Nuts and bolts — Then there’s the smaller things that are done so well. There’s in-depth customization that really lets you add a lot of personality to your vehicular avatar. You get a new car component for every match you complete, win or lose, which is a simple but great system that rewards dedication rather than performance. You can also save the footage of an entire match and watch it in the game’s great replay mode. It’s a lot of fun to use, feeling similar to the Halo series’ theater mode. There’s just an unbelievable amount of quality content in this game, so much so it puts most other multiplayer-focused titles to shame. Deadly crash — While playing Rocket League nearly non-stop since I got it, I had the game crash on me multiple times, and always in the middle of a match. When I’d restart the game, it wasn’t uncommon for me to find out a customization item I’d recently unlocked was now missing from my garage. Once, I was even temporarily banned from matchmaking, presumably for “leaving” too many matches. While Psyonix seems to be aware of this problem, it still exists after their first post-release patch. This issue will hopefully be fixed fast because it’s an infuriating problem to deal with. 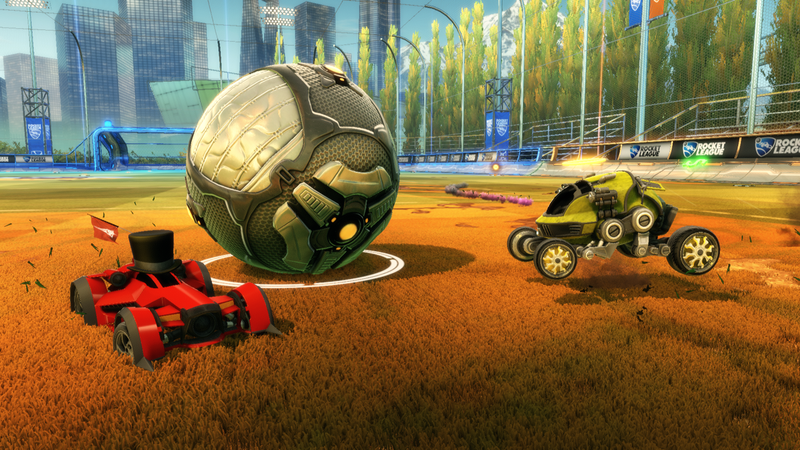 Right now, the Xbox One port isn’t the best version of Rocket League. While it does come packaged with free cosmetic DLC, it’s plagued with crashes and won’t be caught up content-wise with the PS4 and PC versions for a couple of months. Once those issues get ironed out, we’re looking at a true winner. Even with the drawbacks of its current state, the game is an immensely fun and extremely rewarding experience worth checking out. 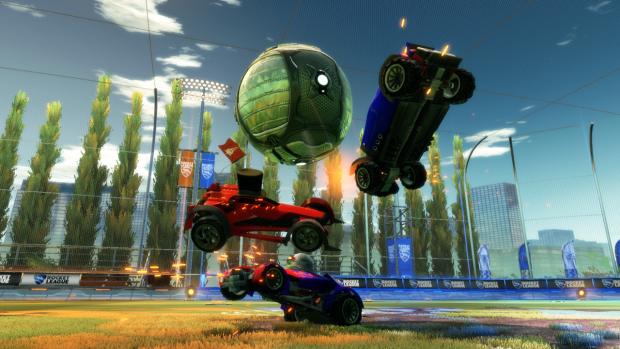 Despite not being a real-life sport, Rocket League stands out as one of the best sports game ever made. 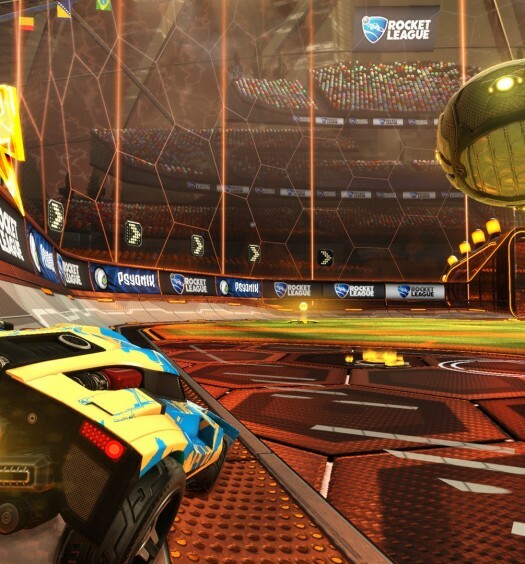 Rocket League was developed and published by Psyonix on Xbox One. It was released February 17, 2016 for $19.99. A copy was provided by Psyonix for review purposes.